Digital image editing used to be a supremely complicated job that only highly-trained professionals could do well. Photoshop let just about anyone dabble in image editing, and a new program called 3-Sweep could do the same for 3D image manipulation. The program was created by a team of researchers from Tel Aviv University. 3-Sweep makes it possible for even the novice user to extract single objects from photographs and turn them into easily-manipulated 3D models. 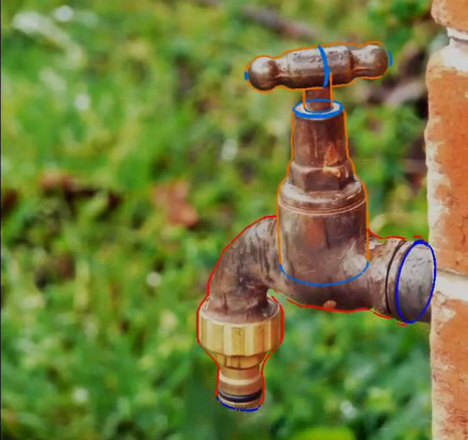 In the video demonstration, 3-Sweep’s mind-blowing abilities are demonstrated on simple and complex objects in photographs. With a few exceptions, the program easily outlines the object, fills in the background, texturizes and adds volume to the object. The object can then be resized, rotated, and edited in whatever way the user desires. The possibilities for this technology are sort of delightfully intriguing. Besides allowing for complex editing, the program could allow users to place objects from their own lives into a digital environment like Second Life. 3-Sweep will need some work before it’s ready to be sold as a consumer product, but the researchers behind it are working on getting a demo version ready for the public.